Ramen – a classic Japanese soup, usually made with wheat noodles and served in a slow-cooked beef or pork broth with various toppings – has become a cult-like food. Adored by fans across the world for its nourishing, hearty and comforting nature, Ramen-topia shows you how to make the world’s best ramen (with plenty of variations) in your own home. Not to be confused with that other ramen – 2-minute microwavable noodles from a packet adored by students – Ramen-topia explores the unprocessed, original Japanese comfort food. Chapters cover the four main types of ramen – tonkatsu, shoyu, miso and shio – as well as sections on making toppings, noodles and broths. With classic, well-loved recipes to more modern adaptions – including curry ramen, no-stock ramen, ramen made with vegan stock, as well as making gluten-free noodles from scratch – this book has all tastes covered. Deborah Kaloper is a Californian-raised, Melbourne-based food writer, chef, former pastry chef and now sought-after food stylist. Deb daily works with the best photographers, chefs and writers – and in her down-time she spends it perfecting her tortillas. 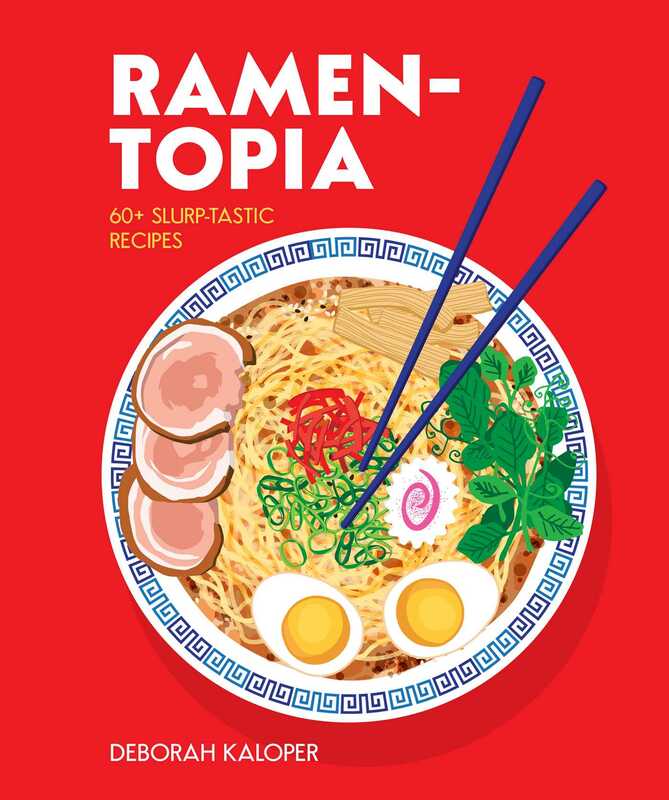 She has previously authored Ramen-topia and Taco-topia publish­­­ed by Smith Street Books.